Music Costs > How Much Does It Cost To Rent A Piano? How Much Does It Cost To Rent A Piano? If you or someone in your home is learning to play the piano, but you are not sure if it is going to be long term or not, renting a piano may be a better option than purchasing. Piano rentals are widely available. The cost of your rental will be determined by the type of piano, the company and the length of your rental. How much is it to rent a piano? To rent an older upright piano, which would be perfect for a child just learning how to play, you will pay about $30 per month – about $360 per year. These fees won’t include the delivery, tuning and moving fees. Renting a higher quality upright piano will cost about $50 to $100 per month, while renting a grand piano will cost around $100 to $150 per month. One-time rentals can cost anywhere from $50 to $250 depending on the event, type of piano, distance traveled, and length of the event. For example, PianoRentals.com located in California, offers many various packages that can start at $36 to as much as $150 per month. They offer a Kawai piano that can be rented for $36 per month, and the Yamaha Baby Grand rents out for $89 to $149. Another company, such as Amadeus Piano Co, Inc., have upright pianos that can be rented out for as low as $29.99 per month, and baby grand pianos that start out at $99 per month. 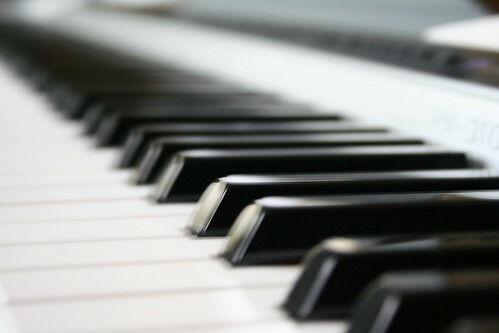 Companies will often offer the following types as rentals: baby grand, upright, digital, player and hybrids. Inclusions will vary by dealer. Some include a piano bench and help with moving the piano, but others may charge extra for these services. Be sure to find out what’s going to be included when paying the rental fee. If a repair is required that is out of the renter’s control, the company will be able to replace it or fix it for free according to the agreement. If the things listed above are not included, they will be considered extra costs. Most companies have a minimum rental agreement, and most start at three months. If you break your contract early or discontinue the rental without sufficient notice, you will probably be charged a termination fee. Just as with any per-month payment, late payments will usually result in late fees. Additional tools, such as learning material and a bench, can be rented out as well. A tuning may be required by the manufacturer at least once a month. Additional tunings can cost anywhere from $15 to $30 extra. Upgrading the piano at a future date can increase the cost. Renting a piano gives you the opportunity to test out a piano before you purchase one. Many rental companies may apply the rental payments toward the purchase of a newer piano. Each company is going to vary, so be sure to ask to see if a plan such as this is offered. Remember, when renting a piano, you will have nothing to show for once the contract is complete. If you’re serious about your piano playing, consider purchasing a used one. Marthabeth.com says you should be wary of dealers who want to rent pianos on the brink of being thrown in the dump. All pianos should be in working order. Also, she advises you should be careful when dealing with dealers who also sell pianos. If you were to rent one from this sort of dealer, they may be pushing a piano they make an attractive commission on. Read the contract closely to know exactly what you’re responsible for in terms of fees. Many companies offer special discounts such as the last month free if you sign up for one year in advance. Discounts may be available for referrals. I actually had to rent a piano for my wedding and received numerous quotes. The lowest I could find was about $400 for the day. I think the biggest reason was because of the shipping fees to the location. Does this sound right?